Simon Stevens, Chief Executive of the NHS. With public perception of a crisis in our healthcare system, it is now becoming accepted that the future of medicine lies in our nutrition and lifestyle. What could better help us understand how to manage our health than the original source of knowledge and the most enduring and sophisticated system of healing? Ayurveda is the ancient and timeless, science of life and has been experientially proven over many centuries to help us achieve an optimum state of health and well being. The Ayurvedic Clinic and the Ayurveda Institute UK have been successfully treating thousands of patients and teaching hundreds of students for over two decades. Healthcare professionals come to us both as patients and students, frustrated that the tools they have are insufficient to effect true healing in their patients and themselves. 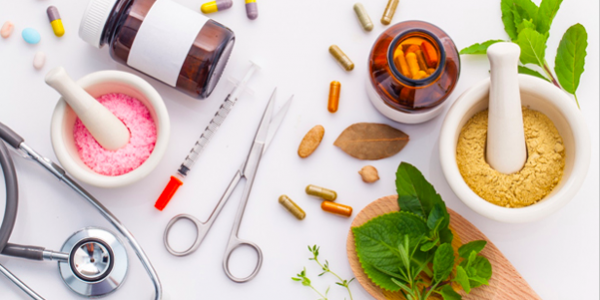 The Ayurveda Institute is the only provider of Ayurvedic education able to offer training delivered by a team of practitioners who are in continuous practice in a well-established Ayurvedic medical clinic. The teaching is delivered exclusively by Ayurvedic physicians and allopathic physicians with decades of clinical practice. Add valuable, practical information that you as a clinician / therpaist can apply to your patients and your own life immediately. There are a significant number of patients, for whom the Western medical system has so far been unable to find either the cause or remedy for their disorder. Ayurveda can provide profound insight into the root cause of diseases. It can help to either eliminate the disorder or arrest its progress using natural methods, such as diet and lifestyle that any person can sustainably apply in their daily lives. Despite enormous advances in the development of diagnostic tools in the Western medical system, diagnosis and the identification of the cause of many common disorders is still complex and inaccurate. Ayurveda uses natural, multiple diagnostic methods that are shown to be reliable, examining both the patient and the disorder. The digestive system is the engine room of the whole organism and balancing it is key to all physiological and mental disorder. Learn about the key role of “agni” aka digestive fire on digestion and assimilation of food and, how you can balance it with diet and lifestyle. Dr Eleni Tsiompanou has worked in the NHS since 1997. She divides her time between her job as Consultant in Palliative Medicine in a hospice and working and lecturing as an Integrative Physician and Ayurvedic Practitioner. Dr Eleni is on the Board of Advisors for the Association of Ayurvedic Professionals UK. A certificate of attendance is issued at the conclusion of the course. Fees: £95.00 for the whole day including refreshments. Registration is via email to the Ayurveda Institute UK.